Ready to frame art in standard frame sizes make it easy to create an instant gallery wall in you home! 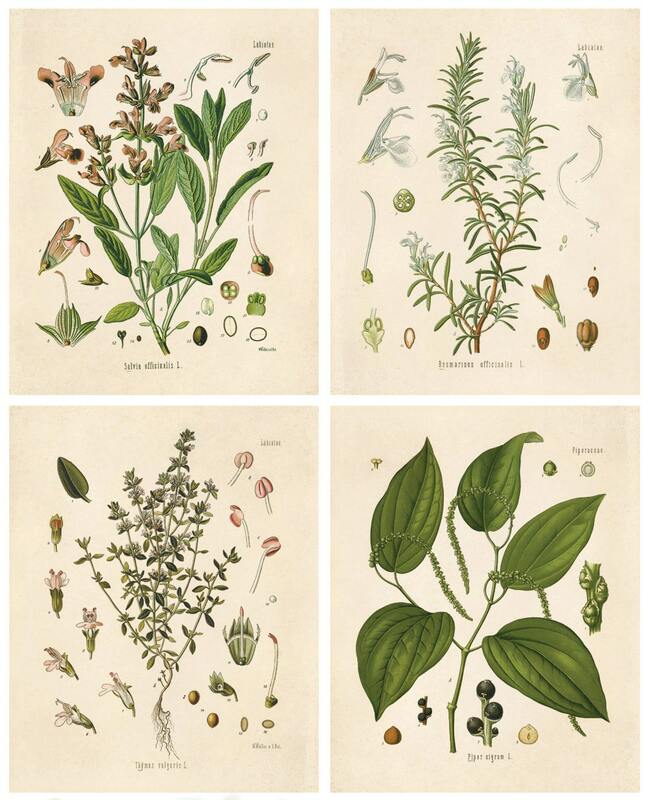 These prints feature reproductions from a vintage science text. 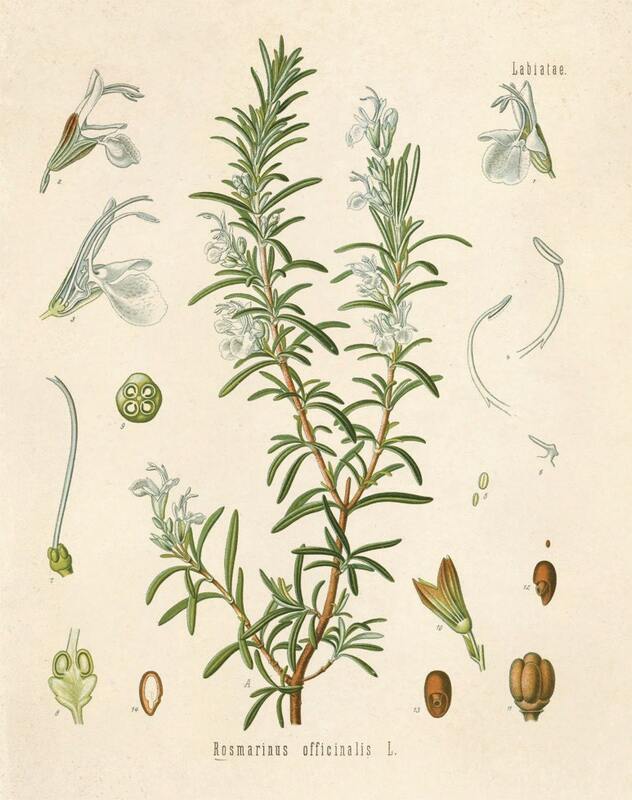 The original art is from “Kohler’s Medicinal Plants”, a German medicinal guide published by Franz Eugen Köhler in 1887. It was written by Hermann Köhler and contains some 300 full page chromolithography plates by the illustrators Walther Müller, C.F. Schmidt, and K. Gunther. 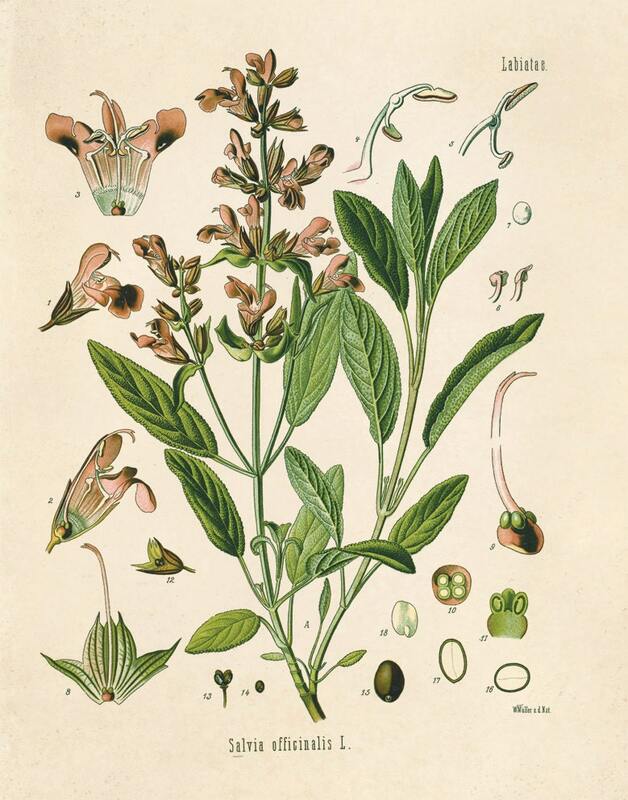 This print includes sketches of common herbs: Salvia officinalis (sage), Rosmarinus officinalis (rosemary), Thymus vulgaris (thyme), and Piper nigrum (black pepper). 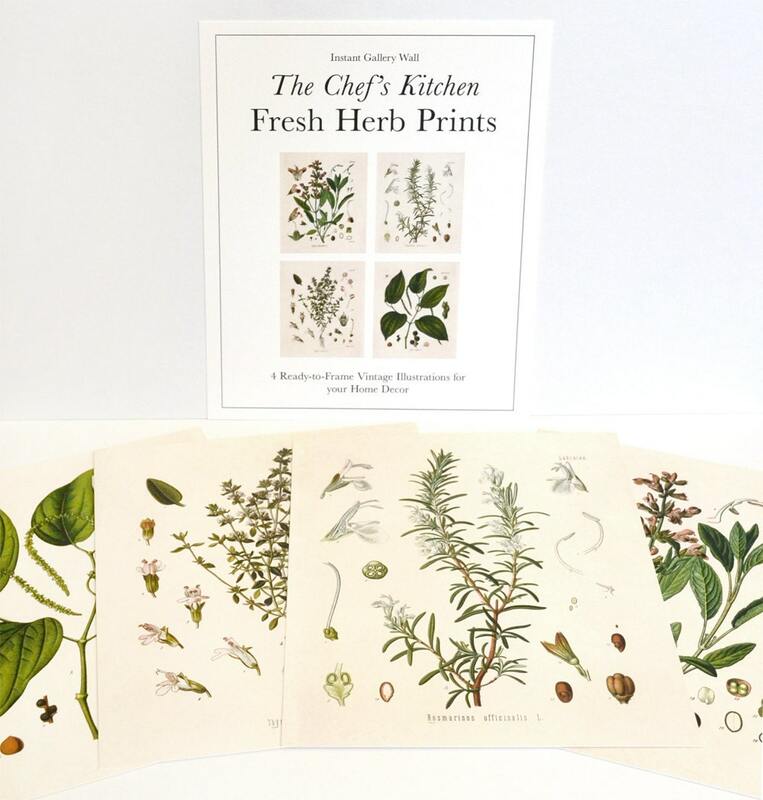 The pages have been scanned in, cropped, and retouched to ensure the highest quality reproduction possible.